subscribers are charged monthly fees of $27, paid as upfront , there are no guarantees that you can make money quickly and regularly because it is possible that you don’t get awarded any contract with game companies as game tester or game reviewer or any job proposed by the Gaming Jobs Online. 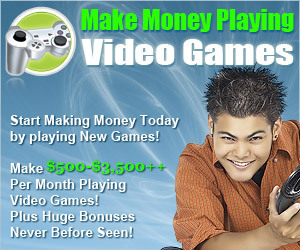 Gaming Jobs Online is an online based company which website can be found at the URL http://www.gamingjobsonline.com/. It is number one game tester jobs provider. With more than 20 worldwide reputed games companies, this game provider is a reference for people who want to get paid for playing games. The company offers a flexible schedules plan that you can adapt at your ease. 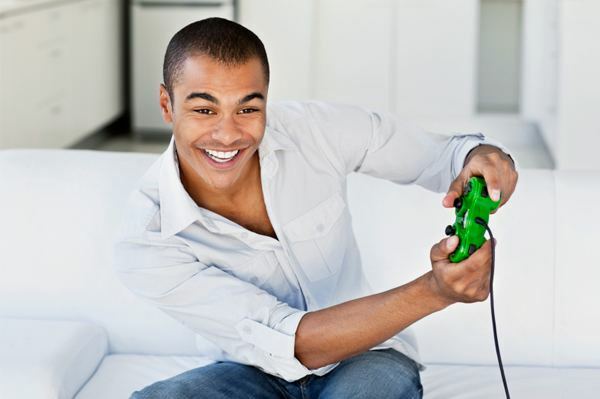 With Gaming Jobs Online you can create extra income by doing things you like very well: playing games. When you subscribe with this gaming jobs provider, you can get access to multiple games before they are released to public for testing them and tell the developers about things they should keep and thing they may discard and change. You can also review game releases and write your verdict about them to help companies promote their games. This being said, Gaming Jobs Online reviews state that playing games for money is not the only option for the subscribers; you can still make money while completing surveys, in this case, you can get paid with money or you can receive credits and points that you can transform in cash or products. You may also review and rate movie trailers and video games promotional materials before they are online; it helps the companies to target more prospects and reach wider public. 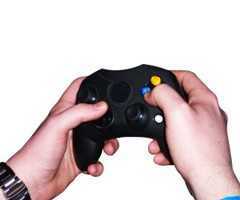 You are also called to test game devices like joysticks and consoles for their performance and usability. The best part of all this is that you can receive tutorials and training for building your game tester career and they help you build your reputation with the greatest and the most famous game developers and producers. As video game tester from home, the work is almost done from the comfort of your home, where you can test and review games intended for all people as well as game destined to particular communities. When you subscribe with this company for a game tester account, you can access all these features, you will be eligible to a 7 days trial membership free of charges , then you will be charged $27 monthly in upfront for your membership. Somehow it is a constraint that the company should review to develop the subscribers’ database. As member of the Gaming Jobs Online platform, you will be eligible to training about how to create your own gaming website or company, and you still can keep the video games you test and review to use for personal use or commercial purposes. While Gaming Jobs Online review reveals a calculator application you can use to calculate your monthly income playing games, the reality is that it is a little hard to be awarded jobs and be a game tester. It does not mean that you can’t make money with this platform, but it is better to not confuse people with huge incomes. According to their experience within this platform, some reviews would strongly recommend, other would not recommend subscription with this platform. The fact of paying upfront is so confusing and the fact that the company does not provide any information about itself makes you think about SCAM Company. The company is real and the income that you can make is proved by great number of users who enjoy playing game for money. The final word is you can subscribe for an account and try profiting from all the training you may come across, if you do not get paid you can get trained. aking money and being rich is indeed the right of everybody; having an extra income is one of the most helpful solutions when it is about overcoming financial difficulties. It may take you a while and a bad experience of being “out of cash” to understand that preventing is the exclusive solution. You may think of the fastest, safest and most generating ways of money: running online business. You go to internet and type search words in the search engine and you get hundreds of ways, tips and lots of courses teaching you and guiding you through your progression. you may come across these phrases:” Be paid while you are doing what you like”; it sounds great! You get paid while you are surfing the web, while you are doing your search routine for interesting information and you can get paid for simply answering questions and completing surveys. But is it possible that you get paid while you are testing products? and especially the products you like the most? The answer is “YES”. Choose the product you want and look for the website proposing you to test them give your opinion and receive your cash. What if you like digital products called Games? The answer is also “YES”. When you conduct a search about this topic you will get a huge list of websites where you can subscribe for game tester jobs online account and begin enjoying playing games and be paid for it. The problem is that you don’t know which company offers the best plan for game testers and which one pays real money. You may create accounts with all the providers and take your chance. Since there are many, you won’t have much time and you may miss the perfect one while you suffer the worst. You need to go online once more and ask for leads. Reviews are very helpful, they provide you with what people say about such or such company and you will find recommendations and may be some rating for companies and their plans. This present text is a review of one famous company, Gaming Jobs online that pays you money for testing games and reviewing their features before they are released. It can be found at the URL http://www.gamingjobsonline.com/. The present review will summarize the most relevant reviews for you and will help you decide about opting with this company or discard it and look for another provider. Along with the company review, this text will try to answer pertinent questions that you may ask about it: What is gaming jobs online? Is it reality or scam? How does it work? At the end it will be up to you to decide. You need to know how to become a game tester from home and get game tester jobs from home, and where to get the best providers to work with them. Gaming Jobs online review shows an online based company. The website is quite professional with an embedded video in the home page. That video presents the company as the platform that connects you to the most reputed video games firms in the world. It describes the gaming industry as an involving sector that never stops to evolve. The marketplace of video games is a place where there is tough competitions and every games company has to keep its place and not lose it for competitors. Competition among game developers is about some features that the game should have: Graphic Quality, Sounds Quality, Commend Sensitivity, Games History and much more. When the game is released, it must show as few as possible issues in order to generate the maximum sales. The game companies need to test their games before they are released in final version. They can assign the task to particular members of their staff but they don’t. they need users’ reviews not developers reviews. They hand it to Gaming Jobs Online. The company offers for those who like to play games whether online or offline the possibility to play video games for money according several plans it proposes to them. When you visit the company website, you will be advised to register for an account and start making money while you are doing things you like to do: get paid to play games. It is a multiple profit for you: You do that from your place or wherever you are if you travel a lot, and you don’t have to pay for the games you play for reviewing or devices test for feedbacks which over all you can keep and re-use for personal or commercial purposes and, you generate extra income as compensation. The company gives you the opportunity to be certified for video game tester jobs. To help do so, the company provides you with the necessary tutorials and training to make honest and unbiased reviews of video games in the behalf of games companies or games magazines and newsletters. It is so important because what you write should be consistent and you should know exactly what to focus on and how to formulate the review to be relevant. 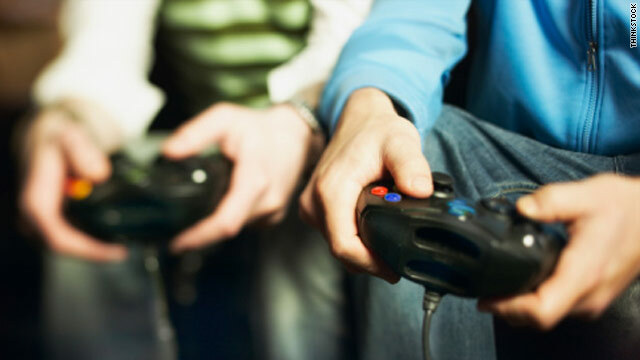 Gaming Jobs Online review indicates that the company has no physical address and does not show an email address for contacts, but it offers two separate forms for queries: first is dedicated to members inquiries, the other form is for companies looking for partnership, joint ventures and cooperation. Exploring the website, it shows over than 30 video games companies of reputation; it gives the company the proficient touch and it can confirm the satisfying results the game producers obtain from relying on its services. Gaming Jobs Online offers reliable staff that tests games before the final release to the public. Get paid to play video games is to associate pleasure to income; you receive money for doing the thing that you like the most from the comfort of your home. You can also have access to video games before anyone in the world. Games companies expect from the company that it recruits the fitting teams for each game, and they are called to give honest and transparent feedbacks about the games, their features, what they liked and what they disliked. It helps games companies to solve any issues and make any suggested amendments before releasing the game for purchase. Gaming Jobs Online reposes on game testers from home to provide the most famous online games reviews with the rating of games’ releases and the games performance along with advantages and disadvantages. Somehow, you may have asked yourself how the games reviews provides much information about video games that are not yet released; you should know that you can contribute to video games rating and evaluation by becoming a game tester from home and get paid to play video games. According to Gaming Jobs online reviews, the company is among the best providers of games testing services for a growing number of the game industry operators. While other pay money to play games, you play video games for money when applying for an account with Gaming Jobs Online. 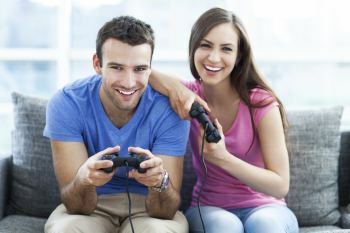 Building your career by opting for video game tester jobs with this company is very easy and affordable; you would appreciate the way things are evolving and will notice at the end of the training and through tutorials and practice that you have acquired what i takes to qualify for video game tester jobs. But you don’t only get paid to play games, there are many others assignment you can get paid for and they do not cost you a lot of time, but they make you earn enough cash. In fact Gaming Jobs Online reviews show that the company offers you the possibility to make money by completing online surveys, reviewing movie or game trailers. You can get paid huge money for joining focus groups. Even if you do not like playing games very much, you still can make money by performing others jobs. Trial Membership: You can subscribe for a 7 day trial membership free of charges. You wi ll have access to all the jobs available on the platform to chose from the one that suits you the most. You can cancel your account at any time using the unsubscribe link. Premium Membership: Actually it is called premium because they suppose that the 7 days trial membership is a basic plan. After the 7 days trial membership, if you do not cancel your account will be automatically upgraded to premium and you will be asked to pay upfront charge of $27/month. Gaming Jobs Online reviews claim that when you subscribe for an account you will have access to all the online jobs offered by the company. More than that, if you are a video games addicted, you will be delighted with the ultimate pre release and the unreleased video games ever. You will be able to connect to video games developers and you will be able to receive many video game tester jobs recruitments. Gaming Jobs Online reviews show that the monthly fees of membership are paid as upfront and not due when you receive payments from the recruiters. It can be a restriction for subscribers because for beginner it is not that easy to get awarded jobs on a platform that includes proficient game testers. A new member should have almost the sufficient knowledge about video games, video games testing and reviewing to guarantee some contracts within the 7 days of the trial membership offered to everyone..
How Gaming Jobs Online work? -You can also review and evaluate movies or video game trailers that are intended to announce the upcoming movies or video games. You can tell in your feedback the proficiency level, the violence rating and the informative quality of the trailer. 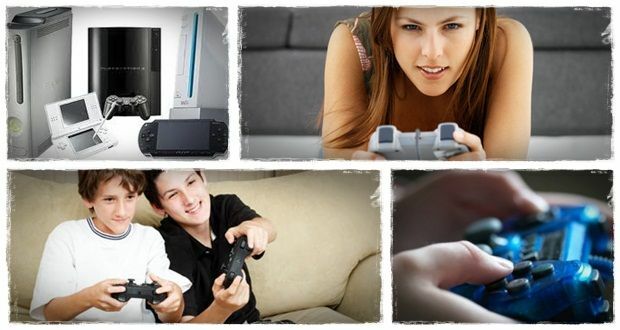 -You can test new products as new game console, joysticks memory cards and so forth. You do get paid per hour played or spent watching trailers. Every task has its payment rate and they are not the same. -You can complete surveys about games preferences, devices preference and much more particular subjects related or no to the game industry. Your career and qualification for video game tester jobs will be built little by little as you learn while you ‘work’. Gaming Jobs Online reviews indicate that the main source of income when using the Gaming Jobs platform is testing games. The question that you may ask is “how to become a game tester?” and how to qualify for video game tester jobs? When you subscribe for an account with Gaming Jobs Online, you will have access to the several plans and pays listed for each option. You can play video game for money, but you can also make money doing other things related to video game industry. You can play unreleased video games then tell the developer what they have to ameliorate and review for better version of the game. You can review promotional material for video games and movies: trailers are promotional material, they consist in some scenes from the game to release or the movie to publish. You can give your rating for the certification factors mentioned for the trailer type and its compliance with the norms. The pay ranges between $4 to $25 per hour. You can complete online surveys which are about the video game quality, video game preferences and lots of other factors of importance to statistic agencies which are recruited by game industry. You can make between $5 and $75 per hour by just taking surveys. You can participate to focus groups and make around $150 per hour. These focus groups are social media-like surveys, where you can interact with other participant. You can just review new games for $30 per hour. this is about reviewing not testing; you can review other reviews and tell what you think about the subject. You can test and try the performance of new gaming tools and devices as joysticks, console and memory card. You can use them for playing known games and then compare the performances of the device you used to plug and the device you are testing. You can test games working from home as a worldwide user: it means that you can be picked randomly regardless to your location; this when it is about games intended for worldwide use and may be online play. You can test games with location preferences, like war games which involve two fighting nations. This would require people from the two nations to be or to be not involved in the game testing. You can learn how to create your own gaming website and start making money on your behalf and on your own. The tutorials are available for subscribers. Gaming Jobs Online offers many features for subscribers and it is not only about testing games and review them; it offers the possibility of creating your own gaming website through “how to” tutorials and training. Gaming Jobs Online reviews show that the platform is easy to use and it is a good opportunity for those who need to have extra income. You need to work hard to generate a regular cash flow from working on game tester jobs from home and get paid for playing games and much more. The reality about working as game tester from home is that the platform does not guarantee that you get awarded a contract with gaming companies, but it gives you the opportunity to connect with them and send your candidacy for game tester positions. Once you are awarded a contract you can begin your game tester career and then you may start earning regular money since you will build your reputation. Is it real money maker? Getting paid to play video game is something that may have you to ask why I shall have to work in offices and be enclosed more than 6 hours a day for little pays since there are such opportunities to make more money from the comfort of my house. Gaming Jobs Online reviews indicate that the several plans offered by the company are the best in the web. They are classified number 1 among the providers of positions of game tester jobs from home. While they connect you with the most famous games developers and producer companies, they do not guarantee the jobs for you. You need to have some experience and convince the game companies of your proficiency and game addiction level to be approved for game tester jobs online; you will have access to their games database, and you are free to keep the versions you test for personal use or for commercial use. 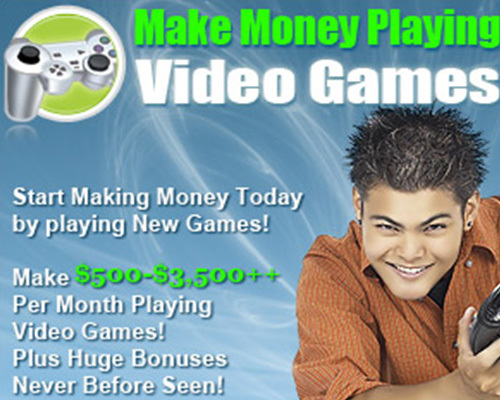 Reviews of what the video game testers say about the money maker system of the Gaming Jobs Online network confirm that you can still make a reasonable income by multiplying the chances of being awarded as many game tester jobs online as you can. If you are not able of getting paid for playing video game, you can still be paid for the other jobs positions offered by the company and its partners. Many users claim that they are making real money by testing video game and can also profit the other options. The statements about making money with an account with Gaming Jobs Online are true: it is not a permanent contract but if you can build your career as game tester, you can increase the number of recruitment you will obtain with your resume. Gaming Jobs Online reviews show that the platform connects with several legitimate surveys websites. When you complete a survey, you get paid whether in cash money or in credits or points. Credits and points are converted in other products or in cash according to the website policy. When you check the partners list with which you get connected when you are subscribed with this particular company, you will find that there are the major game developers in the world; they would not downward their reputation cooperating with a scam company. 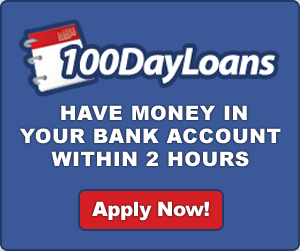 The amount you can make is not as you can calculate through the calculation form embedded within the official website, but you can still get a reasonable income that would help you overcome some financial difficulties. But in sum, you need to work hard to build your online reputation as game tester. As you can keep the original copies of game’s releases, you can also use the copies of games you test and review for commercial use and you can sell them; this is an extra income source and you do not fear pursuits and copyright issues. 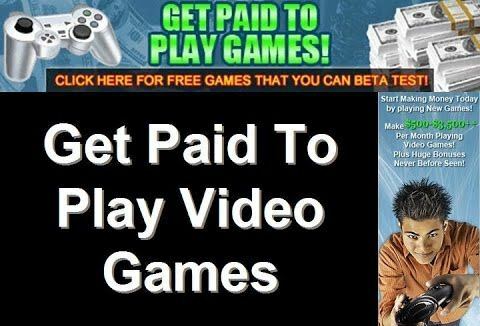 The final answer is that Gaming Jobs Online is one platform where really you get paid for playing video games and therefore it is not a scam. The company offers a 7 day trial membership, training guide about how to become a game tester from home: You can build your career by subscribing for a membership to get accustomed to the working system of the company and to know what it is about. The company connects you to a wide number of worldwide known games developer and producer’s companies: the most famous company games in the world cooperate with Gaming Jobs Online and they profit from the services it offers. With Gaming Job Online, you can make money from the comfort of your house while you are playing games: you can play new games and unreleased version then right your review and give your rating. You will be trained how to become a proficient game tester which includes how to proceed in your game testing, what point to emphasis in your review and how to structure the review. With the Gaming Jobs Online tutorials, you can create your own gaming website and promote it to build your gaming company and start making money and recruiting people. Gaming Jobs Online offers others ways to make money besides playing and testing games, you can make money by completing surveys, testing game devices and reviewing and rating video game and movie trailers. You learn how to become a game tester with the tutorials and training supplied by the company. After testing a game, you can keep it for personal use or commercial use; it will be licensed to you. The numerous advantages offered by the Gaming Jobs Online Company, hide a certain number of points to review and enhance because they may disrupt the reputation and affect the success of the platform. Subscribers are charged monthly fees of $27, paid as upfront; it means fees are not deduced from your earning. This operation can make people think that the company is collecting money and offering a very simple service of testing and reviewing games and some others jobs. There are no guarantees that you can make money quickly and regularly because it is possible that you don’t get awarded any contract with game companies as game tester or game reviewer or any job proposed by the Gaming Jobs Online. The company does not display any coordinate about itself or any member of its staff. The only information is about clickbank which make the website as an affiliate website. Most of gaming jobs are on site, and doesn’t pay too much.